The Forge Motorsport high flow intake hose for the MQB platform 2.0 engines, eliminates the highly restrictive plastic inlet pipe, and replaces it with our smooth bore multi-ply silicone hose which increases air flow, improving efficiency and performance. This equates to increases of up to 10hp which is a remarkable gain for an easy to fit bolt on modification. Includes billet machined couplers made to exact tolerances at our machine shop in Gloucester, UK, ensuring a perfect fit. This hose is available in red, blue or black and is supplied with all necessary hose clamps. The Forge silicone hose in this kit has been designed to include an expensive inner liner of modified silicone known as Fluorosilicone. 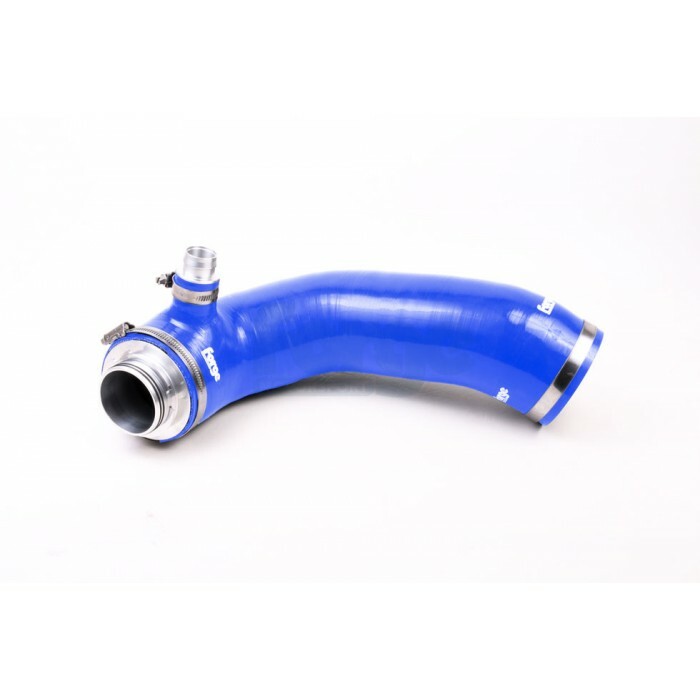 This means the hoses are suitable to be used with either modern long-life coolants, Organic Acid Technology coolants (O.A.T.) but more importantly for this application, air containing oil mist.